A fertility clinic in the US has recently held a lottery offering a number of free cycles of IVF – which was a good PR exercise for the clinic itself. I’ve just been reading an article about this and was surprised to discover that the “free” cycle didn’t actually include the cost of any drugs (which, as anyone who has been through treatment will know, are extremely pricey). 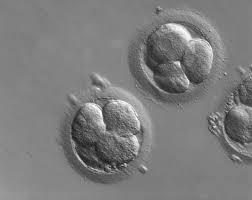 Nor did it include any additional treatments such as PGD or sperm freezing should they be needed. Entrants also had to be under the age of 43. The lottery was drawn live on Facebook, 30 winners from the 500 or so entrants which seems a small number given what was on offer. But perhaps not, as they also had to agree to forfeit their right to anonymity as the names and locations of winners would be announced during the live draw. This entry was posted in infertility, IVF and tagged free IVF cycle, infertility, IVF, IVF lottery, National Infertility Awareness Week by fertilitymatters. Bookmark the permalink.